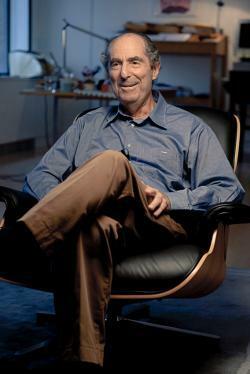 PBS’s American Masters documentary on Philip Roth, reviewed. PBS’s Philip Roth documentary is more respectful to its subject than its subject is to himself. If there were any justice in the world—poetic justice, I mean—this Friday’s installment of American Masters would be called American Masturbators. PBS’s failure to indulge proper bad taste in this matter is one of several opportunities squandered by Philip Roth: Unmasked (check your listings), a 90-minute documentary portrait of—pay no mind to the philistines—the greatest living American novelist. Suggesting this alternative title, I am thinking, yes, of Portnoy’s Complaint and adolescent Alexander beating the meat that had been in the icebox, and also I am thinking of The Ghost Writer and young Nathan Zuckerman reading Henry James to clear the self-polluted air in E.I. Lonoff’s study, and I am thinking of Sabbath’s Theater’s old Mickey Sabbath spilling his seed on the ground above his lover’s grave, yes, I am thinking especially of Sabbath: Filmmakers William Karel and Livia Manera have been clever in structuring Unmasked, and at key points they naturally enough return to the theme of burial when telling the life of an 80-year-old fellow of most excellent fancy. At it again: “I think it should be on my tombstone,” Roth says to the camera, bright-eyed and bushy-eyebrowed. Good writers borrow. Until his retirement, this great one compulsively shoplifted a phrase about compulsion itself, compulsion and recurrence and reiteration—and not merely in connection with the eternal return of desire: He uses “at it again” in American Pastoral in connection with the expansive sorrows of the Swede, in Portnoy to describe the nettlesome still-not-listening of the hero’s mother, in The Plot Against America as the headline of a fictional Times editorial about “the self-serving shenanigans” of Walter Winchell, the fictional excerpt of which reads: “There is nothing Walter Winchell has more talent for than himself.” I detect Roth singing himself in that last line—executing a bit of self-aware self-analysis in an obscurely self-abusing fashion and winking at those few among his audience who read his novels even half as carefully as he writes them. Not that we don’t read them carefully—he just writes them very carefully. It would have profited the filmmakers to include Al Alvarez among their somewhat odd roster of talking heads. We’ve got some insightful Roth-watchers on offer—Jonathan Franzen, Nathan Englander, a handful of college friends, and the critic Claudia Roth Pierpont (no relation). We’ve also got his pal Mia Farrow, who is lively, though one wishes she’d been pressed to say more about the novelist’s sense of humor, especially considering her former closeness with another Hebrew King of Comedy. (Unmasked is arguably too quick to bow too completely to Roth’s insistence—the first thing he says in the movie—that he not be read as a Jewish writer; it is certainly too slow to connect the comic-monologue stylings of Portnoy’s confessions with the tradition of Jewish-American humor. It is maybe kind of a problem that the filmmakers are not Americans—at the very least, people more familiar with this country would not dramatize the car ride from Roth’s apartment in Manhattan to his house in Connecticut by showing footage of the Brooklyn Bridge.) We’ve got the sense that it would have been nice to hear from more people close to Roth’s age, but instead we get, for no discernible reason, a lot of Nicole Krauss. No offense, all due respect, et cetera, but I cannot imagine that even Krauss wants to hear herself talk this much on this topic. That she is such a major presence is perhaps an indication of the film’s having been put together in relative haste or with limited resources; the press release tells us that Roth sat for 12 hours of interviews, which, it may not be obvious, is not a whole lot of time. That neither Krauss nor anyone has anything remotely unflattering to say about the subject points to the fundamental dishonesty of the work, which extends from its excessive reverence. Normally, faced with a documentary as unflinchingly worshipful in tone as this, a reviewer warms up to say that the movie plays as if its subject had final cut. But Roth the writer has been harder on Roth the man than the filmmakers are. Unmasked conveniently downplays the matter of his awful first marriage and entirely fails to mention the awful conclusion of it. Roth’s 1988 memoir, titled The Facts, contains some uncomfortable pages explaining how he landed himself in the position to execute the career-making achievement of Portnoy’s Complaint. Though his first wife had been, in her capacity as a drama queen, “the greatest creative writing teacher of all,” she also “produced the perfect atmosphere in which [he] couldn’t think,” and even after their separation she was a drain on his finances and thus his freedom. I don’t enjoy spoiling PBS’s birthday party for this superlatively accomplished artist by bringing this up, and I don’t think it useful to interpret his life and work strictly through this lens, but it needs saying—and I don’t think that Roth would disapprove on principle. “You can’t worry about being decorous,” he says in the film, and his adherence to that belief explains why his remains will be interred at the Pantheon, in metaphorical terms, whatever the actual gravesite. “Where am I going to be buried?” he says in the film’s final minute. “If I were to tell you where I’m going to be buried, the result would be, at the moment I was in the ground and the address of the place was out, the place would be overrun by teenyboppers.” He presses his lips shut to maintain the straight face that puts the joke over. Then, after a few seconds, he lifts his eyes to the side because—at it again—it is not entirely a joke. Then in fine postmodern fashion the filmmakers give us a scene from a separate sit-down, the subject’s meta-commentary on the narrative resolution of this story of his life. “We gotta have an ending? We have an ending … The poor old guy’s gonna die,” he says, chuckling. “Let that be the end, OK?” Unmasked gives Roth the last laugh, and that’s fine, but remember where the bodies are buried.